I think “better late than never” is my new “reaching for the stars.” Because I still hit “never” more often than I’d like to admit. We had a belated costume party with our best friends, and now I’m posting belated pictures of the belated party. Impressive. Do you remember last year when I lost Lola’s mermaid costume? I’d love to pretend that I found it, but in reality my “make everyone’s dreams come true” best friend found the exact mermaid costume on Ebay and bought it for Lola for Christmas. And this year she got to be a mermaid. 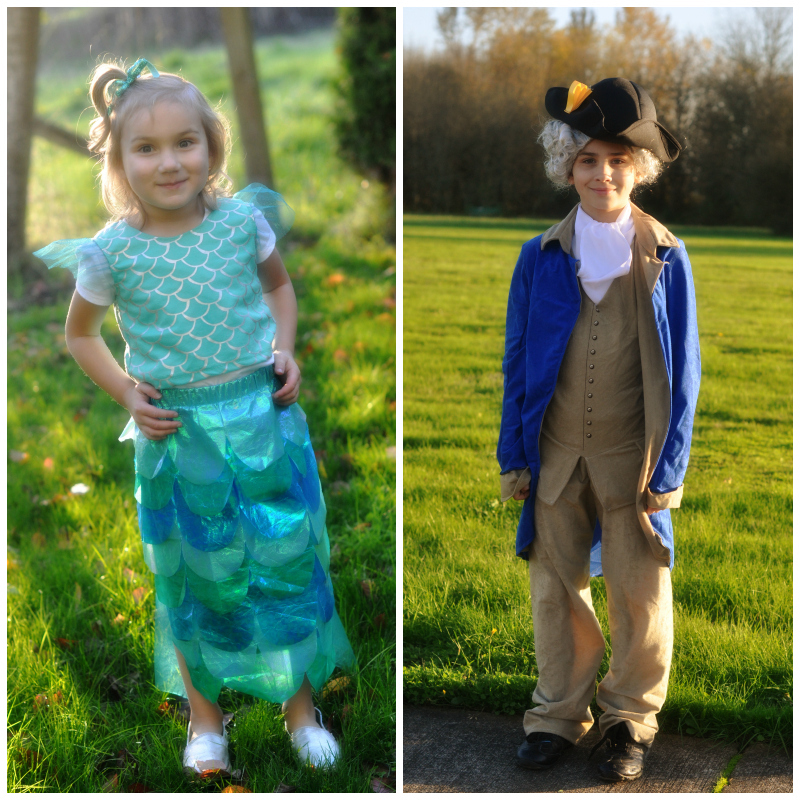 I bought both a George Washington and an Abraham Lincoln costume this year. Leif refused to wear one. (Surprise.) 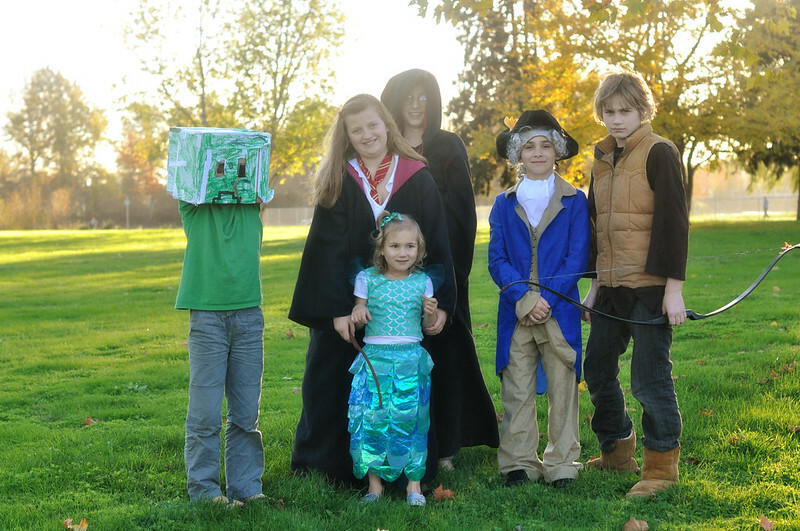 He made his own Creeper head, and I suppose that was better anyway. Luke happily chose George Washington. Levi went as himself (ha!!). I dressed as a lady in waiting (yes, I did). We joined Harry and Hermione and made marzipan pumpkins. Because no party with these 6 kids is a party without marzipan. praying for you these days. I've enjoyed your blog for 3-4 years now. Hang in there -they grow up to be good people!